im opening a gym, its a strength/power/conditioing based gym, but will have couple token cardio machines too like concept 2 rower and then a stationary bike. Any suggestions for a decent but affordable bike model? 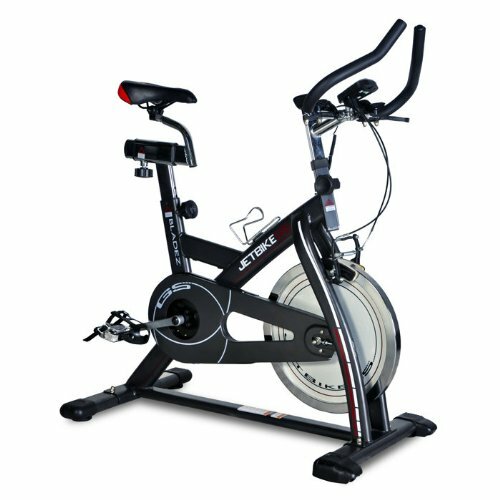 i have 0 knowledge on the subject if i had the money i would buy an owesome wattbike because the sprints with that would suit the the gym in general, but alas i am not. The problem is that the sad looking ones often have the best quality and lowest maintenance cost. I would aim for a "Monark" or something that you would see in a sports physiotherapist office (I am sure that there are several quality brands in Germany and "Monark" is only the Swedish one that I know, since it is everywhere here). Because in the case of the bike being a complete failure and you decide to sell it the second hand price is still very good, whilst if you buy a cheaper indoor cycle, the second hand price will be almost nothing. And if it is a huge success (which we hope for) the cheaper bike will break quicker and then you need to replace it, whilst with a "Monark" (or German equivalent) it will last 30 years with little hassle. Good luck with finding a good indoor bike. I am cheering for a boring but high quality one. Edit: I meant a second hand high quality one to keep the cost down. From a physio's office or bike nerd. check out that, thats not boring! thanks for the tip, ill need to look for local sources, didnt find that beauty locally yet, Monark Bladez Fitness Jet GSX, but will have a better look later. hmmm maybe something like this would do for now?